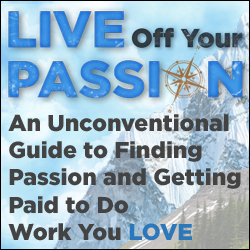 In it, I feature a few inspirational quotes on a particular topic related to life change, along with my personal thoughts and take-aways on the subject. I do it because I believe everyone could use a little extra inspiration in their lives – especially on Mondays! If you’re not a subscriber, I thought I’d give you a taste of what you missed today. You can sign up via the “Subscribe to the Life Compass Newsletter” subscription box to the right. These quotes tell us that something mysterious and magical happens when we’re ready for action and take that first step. Have you ever experienced that in your own life? I have! It’s amazing how something that once felt so daunting actually wasn’t, once I took the first step. Or how help arrived at just the time I needed it. Or how things seemed to line up once I set a goal, determined a course of action, and started moving forward. I can’t explain how it works, but I do know from personal experience that more things “move” for me when I’m moving, than when I’m not. If you’ve been contemplating taking a big step or making some major change in your life, don’t wait for the “perfect” time. There probably isn’t one. Decide now that you’re going to take action – that you’re going to take that first or next step that you know you need to do. Do it, and see if the “Miracle of the First Step” holds true for you, too. 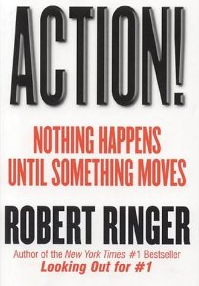 Here’s a great book I discovered a few years ago that develops this concept in greater detail: Action! Nothing Happens Until Something Moves by Robert Ringer. In it, Ringer explains (in a somewhat humorous style) how action produces the genius, magic and power needed to transform your aspirations and goals into reality. Ringer believes that ideas are important, preparation is invaluable, and knowledge and wisdom are essential…but they’re all useless without action, because action is the starting point of all progress. Take Action! Get your copy of Action! today. numerous angles. Its like men and women aren’t fascinated unless it’s one thing to accomplish with Girl gaga!